We arrived in Colorado on Thursday night from Washington a bit later than planned. Most of the snow that fell last week has gone or turned to ice here in Boulder. It’s mild and windy. Just had treatment on my back and neck by Amanda to loosen it before we start our road trip tomorrow. Walked in the foothills of the Rockies yesterday with good views of the Flatirons and surrounding peaks. Didn’t go far, just 6 miles, as I picked up a chest infection on the flight over on Tuesday and combined with the 5200 feet of altitude and my asthma breathing is a little tricky. Stopped at the Southern Sun on way back for a Java Porter, one of my all-time favourite beers. I changed my HTC Chacha for a Samsung Galaxy S2 last week. The old phone ran out of internal memory and no easy fix so Vodafone did a swap to get me going again. Just discovered it has an 8mp camera so tried it out on walk with pictures of Flatirons and surrounding peaks. 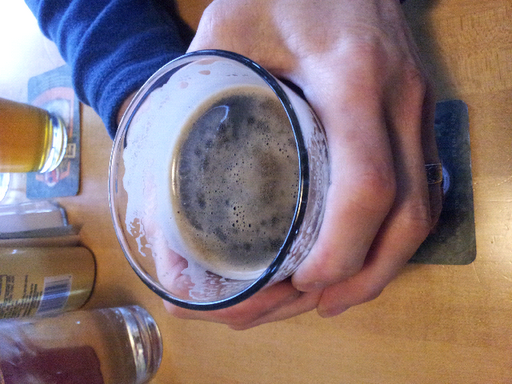 Also photographed my first pint in Boulder! Tomorrow we drive to Laramie en route to Grand Tetons. Before that I have a New Years Eve party to go to with our friends Rob and Annie!